Lauren Comito is a cape wearing, sword swinging, ukulele playing, tech training, job search helping, activist librarian in NYC. Currently the Neighborhood Library Supervisor at the Mill Basin Branch of the Brooklyn Public Library, in her previous work as the Job & Business Academy Manager at Queens Library she developed a team that has helped hundreds of people find employment opportunities. She created the Where in Queens mobile website as a development on the ideas put forth by ZenDesk and LinkSF, with whom she laid the groundwork for a partnership while she was presenting at SXSW Interactive. Lauren has logged hundreds of hours training people how to use technology to improve their lives and job opportunities. Lauren is also very invested in the Library ecosystem serving in numerous capacities in ALA (Council, Committee on Library Advocacy) and in the New York Library Association (President Leadership & Management Section, Chair of the Communication Committee). She is the Chair of the Board of Urban Librarians Unite as well as being a founding member of the org. She started ULU’s Urban Librarians Conference and has organized this highly regarded conference for four years with speakers and attendees from across the country. Lauren Comito was awarded a Library Journal Mover & Shaker award for her work with tech training and job readiness. Her workgroup received the 2015 Gale Cengage Award for Excellence in Reference & Adult Library Services for the Where in Queens project. 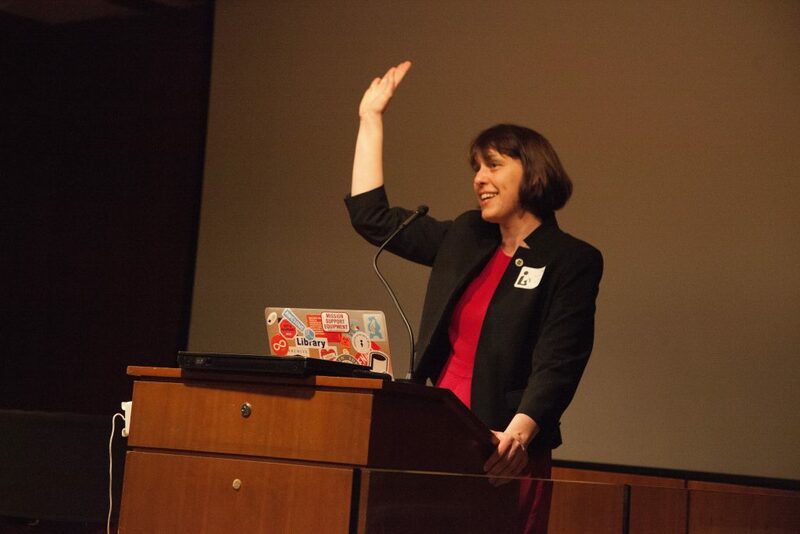 She is regularly asked to speak at regional and national conferences on topics of tech, tech training, women in leadership, cross generational management, and library advocacy. She is creative, passionate about connecting library patrons to services, and a true believer in the ability of the library to change people’s lives and communities for the better. If you aren’t a believer, get the hell out of her way.